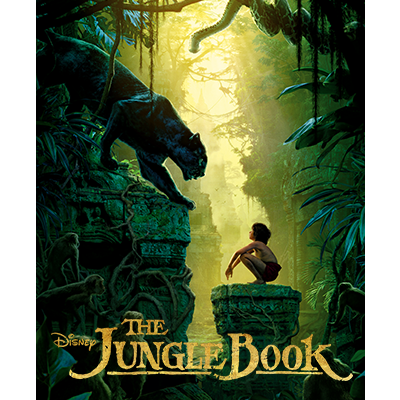 In an epic adventure directed by Jon Favreau (Iron Man), Mowgli, a man-cub raised in the jungle by a family of wolves, embarks on a captivating journey of self-discovery when he’s forced to abandon the only home he’s ever known. 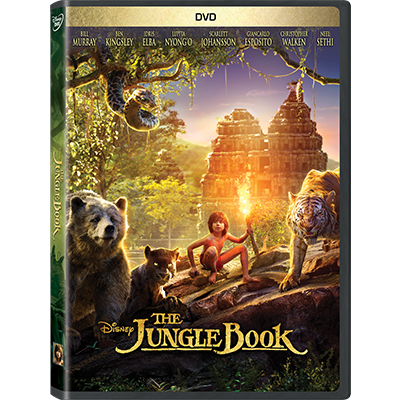 Featuring an all-star voice cast including Bill Murray, Ben Kingsley and Scarlett Johansson, The Jungle Book is “stunning” (Todd McCarthy, The Hollywood Reporter). Voiced by Idris Elba, Shere Khan bears the scars of man, which fuel his hatred of humans. 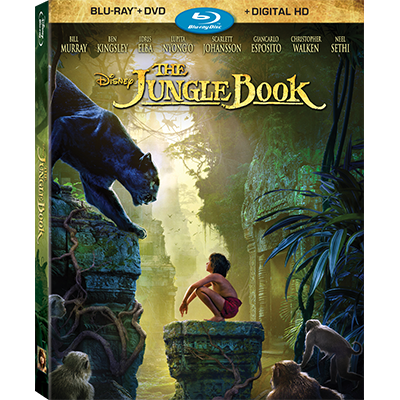 Convinced that Mowgli poses a threat, the bengal tiger is determined to rid the jungle of the man-cub. "Shere Khan reigns with fear," says Elba. "He terrorizes everyone he encounters because he comes from a place of fear." Lupita Nyong'o voices Raksha, a mother wolf who cares deeply for all of her pups–including man-cub Mowgli, whom she adopts as one of her own when he's abandoned in the jungle as an infant. "She is the protector, the eternal mother," says Nyong'o. "The word Raksha actually means protection in Hindi. I felt really connected to that, wanting to protect a son that isn’t originally hers but one she’s taken for her own." Kaa is a massive python who uses her voice and hypnotic gaze to entrance Mowgli. The man-cub can't resist her captivating embrace. "Kaa seduces and entraps Mowgli with her storytelling," says Scarlett Johansson. "She's the mirror into Mowgli's past. The way she moves is very alluring, almost coquettish." Akela is the strong and hardened alpha-male wolf who shoulders the responsibility of his pack. He welcomes Mowgli to the family, but worries he may one day compromise their safety. "Akela is a fierce patriarch of the wolf pack," says Giancarlo Esposito, who voices the character. "He believes the strength of the pack lies in what each and every wolf offers. He's a great leader, a wise teacher."